Updated May 11: It was our intention just to provide maps for this tour, but several people have asked us to do a guided tour as well. 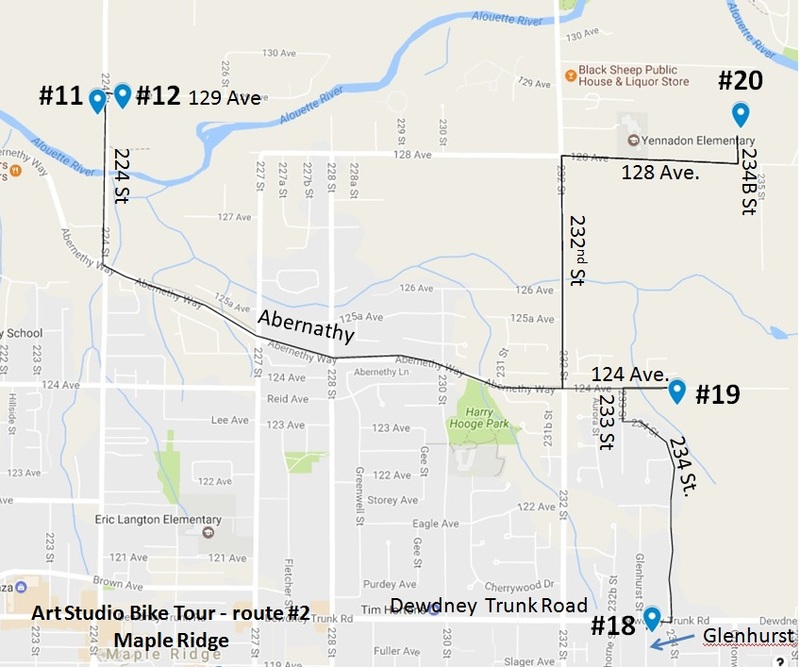 So we've decided to do a guided tour of route #2 (Maple Ridge) on Sunday, May 14, 10:00 am, starting at Studio #19 (Diane Speirs, 23386 124 Ave.). Please e-mail Jackie (jchow23708@yhoo.ca) by Friday May 12 if you would like to join us! Maximum participants per group is seven. 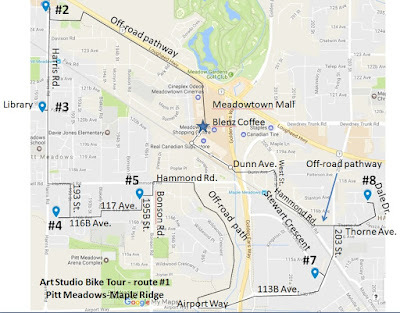 For this year's Art Studio Bike Tour, we've decided, instead of guiding a tour, just to provide maps of the two routes we've put together for those who like to explore the local arts scene in Maple Ridge and Pitt Meadows by bike. This way people can go at their own pace, with their own group of family or friends, or just by themselves. 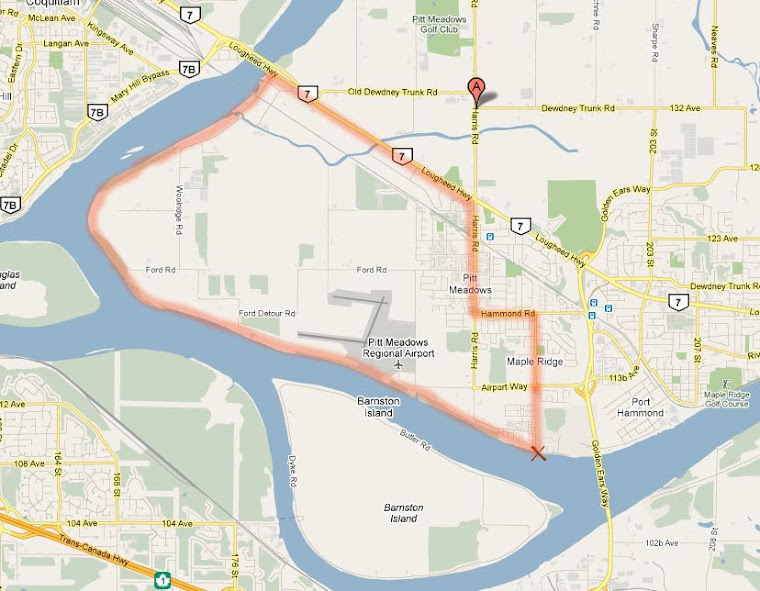 E-mail Jackie at jchow23708@yahoo.ca for pdf files of the routes that you can print out yourself. Here is the link to the Art Studio Tour, where you can find more information about the event. Distance: 11 km. Flat route. Distance: 7 km. Flat route. 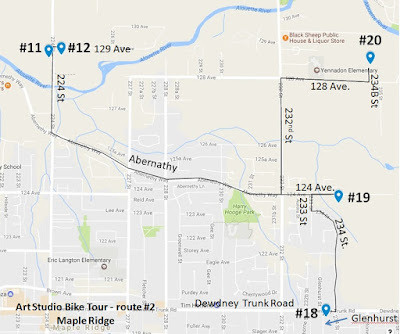 Suggested start/end point: you can start at any of the studios along the route, and bike in the direction of your choice. If you’re driving to the route, we suggest you park your car on the street at any of the studios along the route. 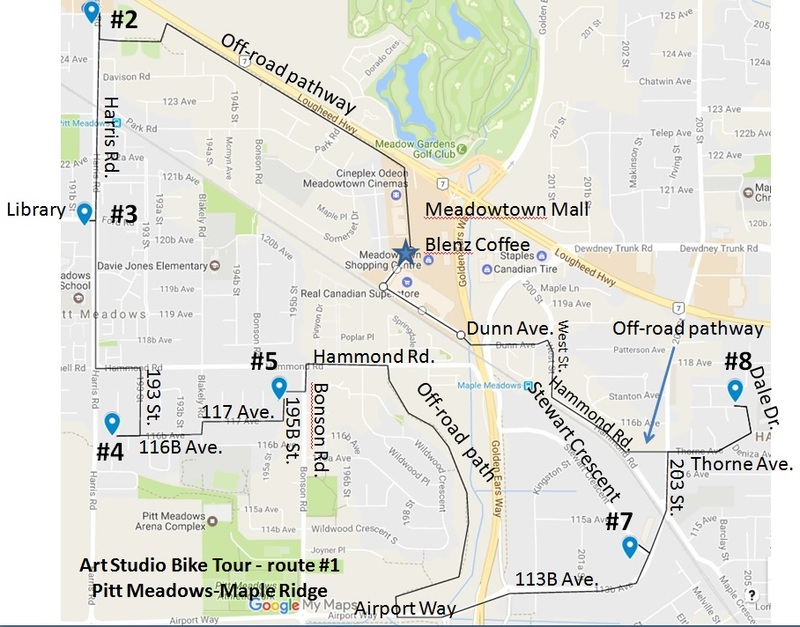 * When visiting studio #18, cross Dewdney Trunk Road at the crosswalk at 234 Street, and bike along Dewdney on the south sidewalk to get to Glenhurst Street.